Hudson Booth likes to play soccer, he has been playing soccer for 6 years and plays for the Norwalk Junior Soccer Association travel team. He also has been playing football for 3 years. He plays for Norwalk Junior Flag Football. One of his hobbies is to snowboard and he’s been doing that for about 3 years. Hudson also plays video games, his favorite video game is Fortnite Battle Royale. Hudson is learning to play the drums in the 5th grade band and he used to play the cello in the 3rd and the 4th grade. Hudson is really good at math, he is at a 6th grade level. Hudson thinks his math skills will be an asset to the mission. When he grows up he wants to be a professional soccer player. One of his hero’s is Lionel Messi. He made him want to start playing soccer. Hudson Booth’s other hero’s are his Mom, Dad, and his family. 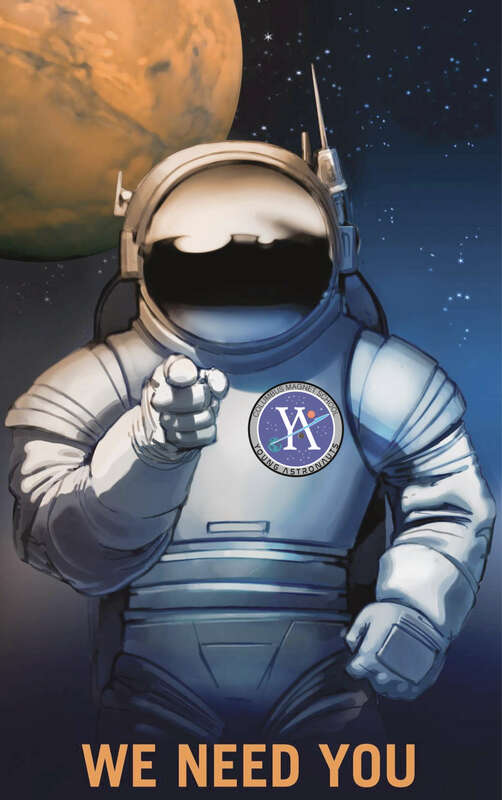 For this year’s Young Astronauts mission Hudson would like to work on his teamwork skills and communicating with team members.